Blank Canvas is Now Available! It’s Friday! Which means BLANK CANVAS is officially available! 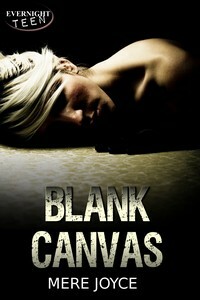 Okay, now that’s over with, I can let you know how to get your own copy of Blank Canvas. *A print version of the book WILL be available, but it has not appeared yet. I will let you know when it’s up! Until then, please share some of my happy feelings today as I celebrate my first novel being out in the (digital) world. And, check out my guest spot (well, Maddie’s guest spot) on Danielle E. Shipley’s blog! Congratulations on your achievement. Best wishes! Wow! That is something to celebrate…and not a small thing. Congratulations.